Create a new list (you can add the subscribers later – by exporting or uploading manually or any other way you want). You can of cause use one of the existing lists, but we would recommend to create a new one for the first time. Anyway you can change your attached list later in InviteBox dashboard. Login to your InviteBox account. Click create new campaign. Please note, that following the logic - MailChimp integration is not available for "Instant Rewards" campaigns. All other campaign types could be integrated. Choose the campaign type you want to use. In our example - we will use "Goal-Based Rewards"
We will be promoting an event landing page. So, on this step - we need to define your campaign rules. We want to reward participants - if 10 of their friends will register on our event ("convert on" - in our case = registration). We will present them the Free Bar Bracelet. Campaign entry notification - It's always up to you - send these two notifications to the user or not. As always - our recommendations - is to send by all means - just to keep good manners and to guide your participants. If you have no time for that - you just can leave predefine text there. 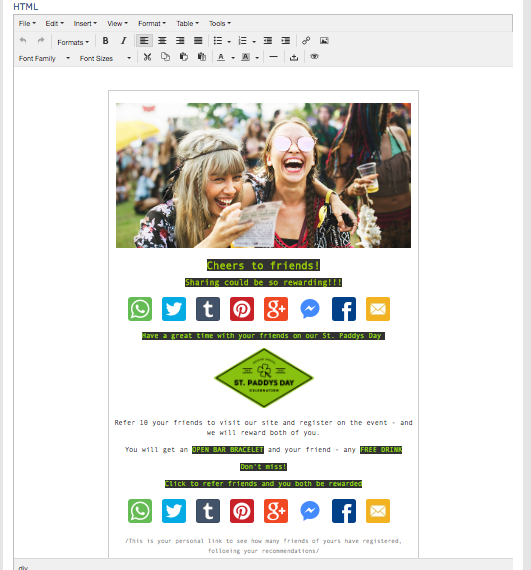 Don't forget to about "Social Sharing Post Design" section - you will not be able to go to the next step without that. Everything else, as always up to you. Scroll down - you will find the "Integrate with MailChimp" section. Fill in all the fields carefully - because it's how the user will see this email on his mailbox. Now the most interesting - composing the email. You can use almost unlimited range of options, using either window tools or you can do everything via code - or combining both this options! You can add images, videos, style your content the way it will fit your site design. Use custom created sharing buttons, etc. You can test your created email or send it right away to the users in attached list. 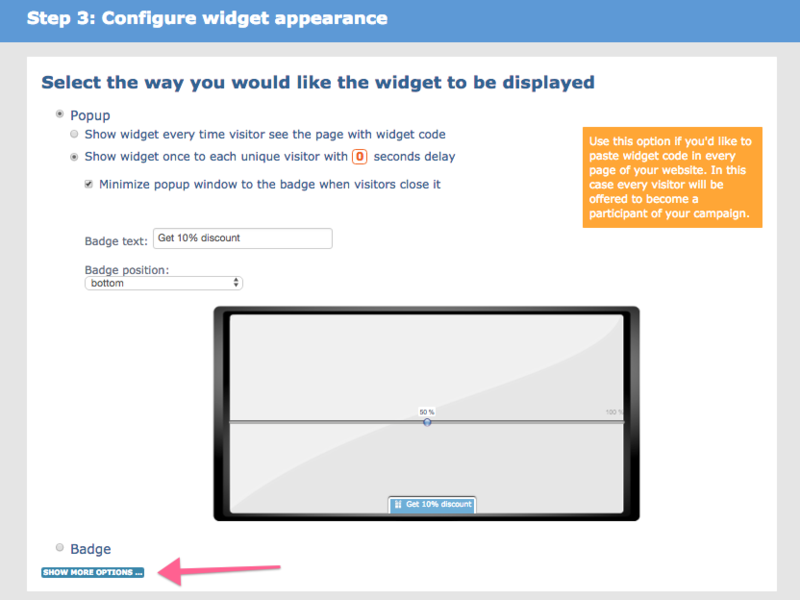 But don't forget to set widgets below, because if the user decides to participate right away - as soon as he/she gets the email - they will see the default InviteBox widget design. Now you need to edit widgets - add colors and texts you want. Every participant has it's own unique link - that could be shown on your site, or on our InviteBox independent page - in case your site has login functionality, or under maintenance at this period, etc. The participant will always has access to his share and statistic widget. Insert this script into your conversion page at the end of the <head> section, just before the </head> tag. For this option - you need to scroll down on the "Appearance" tab and right above the Save button - there will be a note SHOW API SETTINGS - click on it. 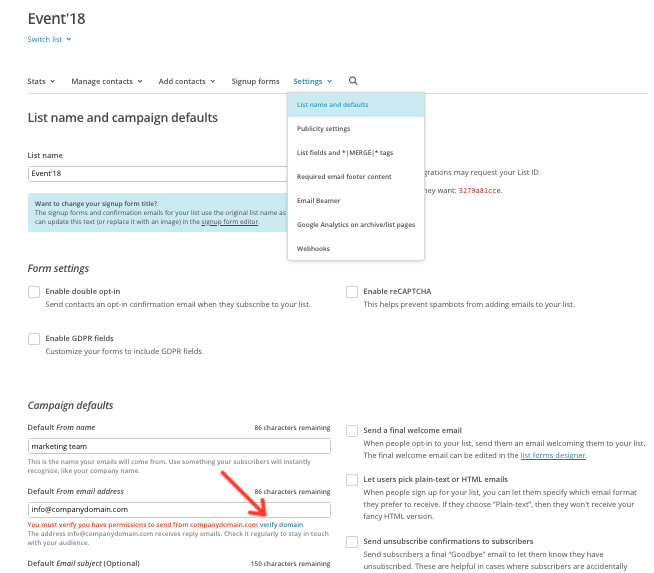 You Campaign name will be detected automatically. That is it! Enjoy sending you referral emails via MailChimp! Some site owners or administrator did a great job, collected huge base of emails, using many tips, or maybe even paid tools. InviteBox takes care about that - and provides you a real comfortable and easy way to use both these platforms together. If you still have questions - you can contact our support via our float help button on our site or you can schedule Free Personalized Demo - and we will gladly help you to set everything.